Deputy Prime Minister for European Affairs of Macedonia Bujar Osmani spoke alongside Neighbourhood Commissioner Johannes Hahn on the occasion of the so-called “exploratory screening”, a stage in preparation of the opening of EU accession negotiations, for both Macedonia and Albania. Unsurprisingly, the journalistic interest focused on Sunday’s referendum, which has divided the country as conservative opposition plans to boycott it. Strangely, the question doesn’t mention that the agreement is about changing the country’s name to “The Republic of North Macedonia”. 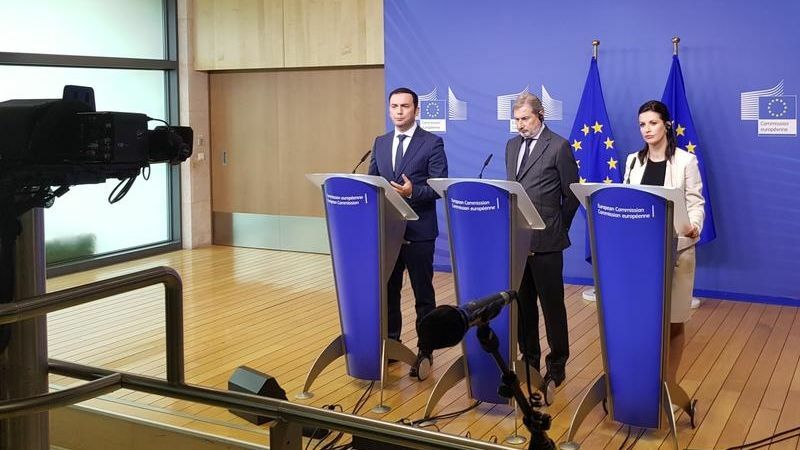 The powerful opposition party VMRO-DPMNE of former Prime Minister Nikola Gruevski (EPP-affiliated) and anti-Western minded Macedonians are against the agreement and plan to boycott the referendum. The country’s President Gjorge Ivanov has also strongly opposed the referendum, as well as the deal with Greece. 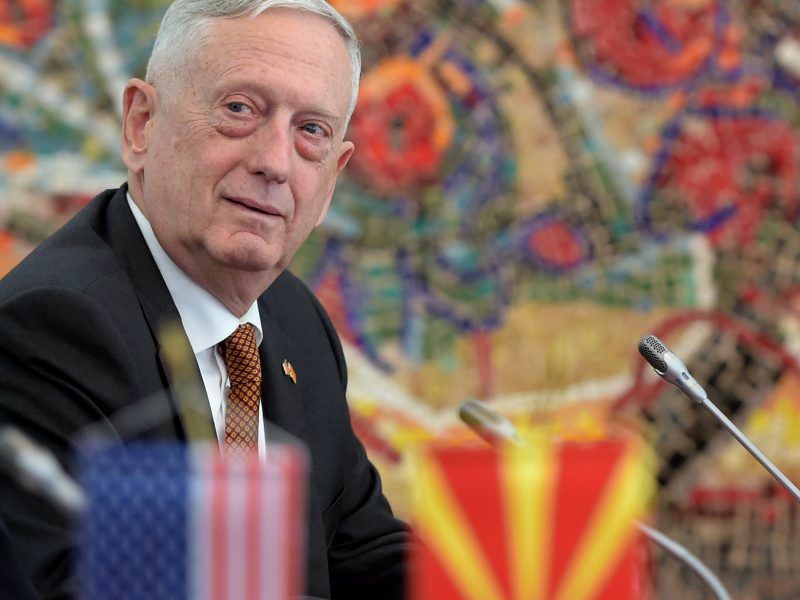 According to reports, Russia is making efforts to mobilise the Macedonian public opinion against the referendum, aiming at preventing Macedonia from becoming a NATO and EU member. Asked about the possible outcome, Osmani said he was optimistic and that the political will of the absolute majority of citizens of all ethnic backgrounds goes in favour of supporting this agreement and the membership in NATO and the EU. But he also indicated that the turnout was not of key importance. “All the conditions will be met, turnout and majority. But the goal of the referendum is not to test the technical and logistical process how prepared the country is to make the citizens vote, but to test the will of the majority of citizens through a referendum”, Osmani said. Indeed, many registered voters of the impoverished country work abroad. Asked whether a mandatory vote should be introduced in Macedonia or not, such as in Belgium, he said “the right way” was to proceed as during the 2009 presidential election, when he said there had been a change in the law to bring the threshold to 40%, because many Macedonians live outside the country. On that occasion, Ivanov was elected at the second round with 42.6% turnout. “We gave legitimacy to the head of state with 40% of turnout. I think other processes in the country can obtain legitimacy with a lower turnout threshold.”, Osmani said. 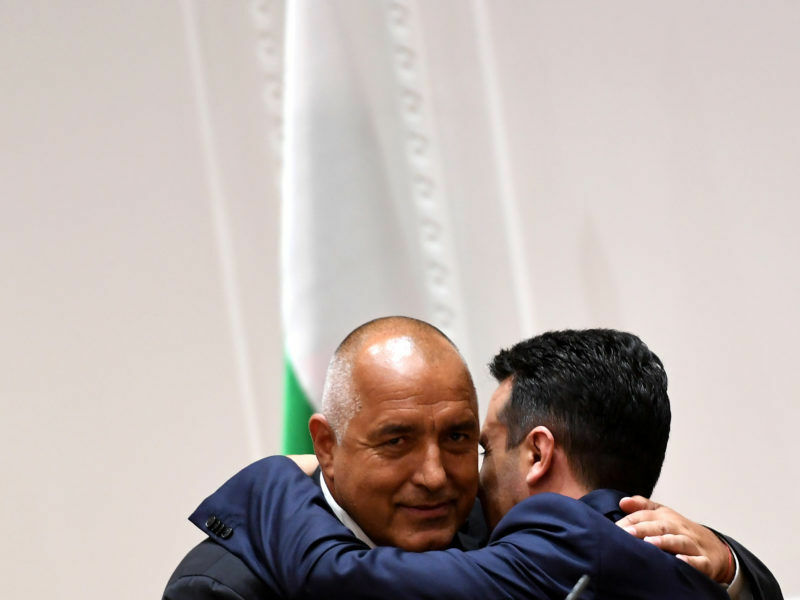 He said that of equal importance had been the good-neighbour agreement with Bulgaria, which was concluded in August 2017 and has put an end to tensions between Sofia and Skopje. Hahn said that now it was the time for people to decide. “I can only urge as a true democrat to use the opportunity to participate in a free and transparent democratic process”, he said, adding that “boycott is not an expression of a democratic majority”.